The sale we wait for all year is finally here - REI's Anniversary Sale. Running from May 18th-28th, their biggest sale of the year includes some of our favorite backpacking, camping, and hiking gear. In addition to deep discounts, REI members also receive 20% off one full-price item and an extra 20% off one REI Outlet item with coupon code: ANNIV18. Big Agnes Copper Spur Tents have an exceptional blend of weight, interior space, and functionality. They have great features for maximizing comfort - freestanding, double-wall, near-vertical sidewalls, two large doors/vestibules, interior pockets - and they remain at the top of our Best Backpacking Tents list. Copper Spur Tents are offered in 1P, 2P, 3P & 4P sizes, all of which are great. We’re partial to the 2P & 3P models depending on how much interior space you want. Altra Lone Peak 3.5 trail runners are incredibly popular in the backpacking and thru-hiking community, and with good reason. They're lightweight, comfortable, and feature a very roomy toe box. They also have great traction for rugged mountain terrain and are a top pick on our Best Hiking Shoes list. We love the lightweight, stretchy, and comfortable Stretch Rainshadow jacket (men's and women's). 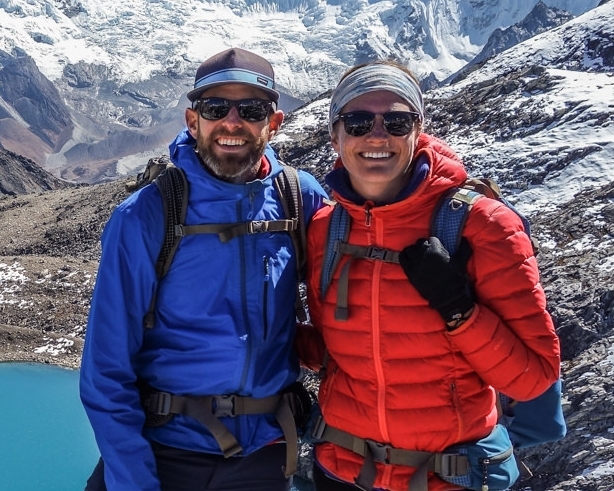 Patagonia uses their breathable H2No Performance Standard shell fabric to create a jacket that moves with you and can also be stuffed into it's own pocket for compact storage. TheJetboil MicroMo is one of the most convenient and efficient integrated stove systems on the market. Similar to the MiniMo, but with a slightly smaller pot size (.8 L vs. 1L) and less weight, the MicroMo has a convenient push button ignitor, simmer control, fast boil times, and is a great stove option for 1-2 backpackers. All La Sportiva Footwear is on sale, but our favorite model is the Bushidos. La Sportiva Bushidos have awesome traction, feel very stable on rough terrain, and offer a toughness and durability that is often lacking in other trail runners. For more information on hiking shoes, check out our Best Hiking Shoes & Boots list. The Osprey Talon 22 for men and Tempest 20 for women are CleverHiker top picks on our Best Hiking Daypacks list. They both provide an exceptional balance of comfort, convenience, and functionality. These packs have plenty of room for a full day adventure and convenient storage compartments to keep our gear organized nicely. The MSR PocketRocket 2 is a lightweight, dependable, and effective backcountry stove. It has great simmer control to make backcountry cooking easier and it pairs well most lightweight cookpots. It also makes our list of the Best Backpacking Stoves. 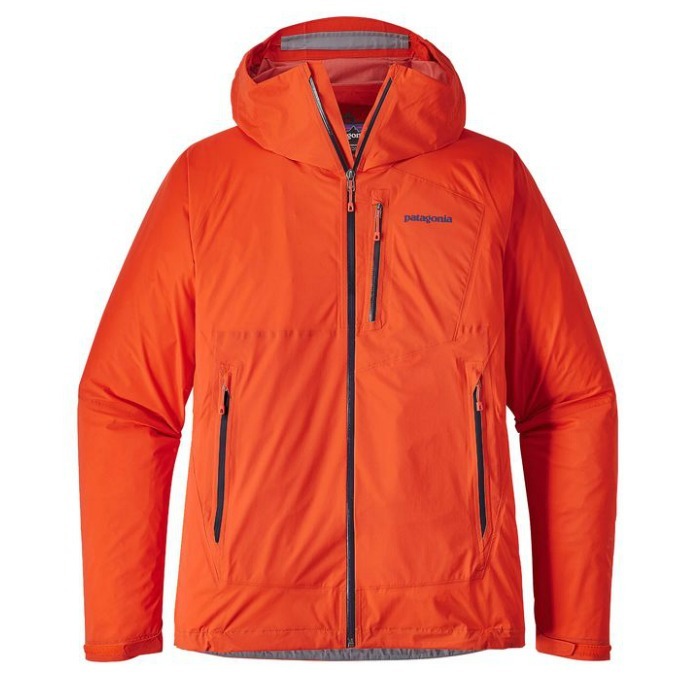 The Patagonia Nano Puff Jacket, offered in both men's and women's versions, is a fantastic shoulder-season jacket. It’s lightweight, comfortable, and highly compressible. What sets this jacket apart is the synthetic PrimaLoft Insulation, which helps retain heat better than down in wet conditions. Although all Petzl lighting is on sale, our go-to is the Petzl Actik headlamp. It's a comfortable, lightweight, and affordable option that can pump out a lot of light. Offering 300 lumens and multiple modes, this reliable headlamp is stashed in our pack for almost all our adventures. No squeezing, pumping, or chemicals required. The Platypus GravityWorks filtration system is about as convenient as backcountry water purification gets. This system is an excellent choice, especially for group trips. The GravityWorks is a bit heavier than we prefer for lightweight backpacking trips, but it's convenience earns it a prime spot on our Best Backpacking Water Filters list. We don't often take chairs on backpacking trips (with the exception of the Z Seat), but we do love using them while car camping or on base camp trips with friends. The Flexlite Chair is comfortable, sturdy, and packs down very small, making it an excellent choice for those on the go. REI’s Co-op Flash Insulated Pad is a standout piece of gear that competes with industry leaders at a more affordable price. The Flash Insulated Sleeping Pad is warm (r-value of 3.7), lightweight, and has a comfortable feel that mimics a home mattress. It's not our top pad pick, but it's great value earns it a spot on our Best Sleeping Pads list. Merrell Moab footwear has been a favorite in the hiking community for a long time. They're durable, comfortable right out of the box, and they last a long time. We generally prefer hiking in lighter trail runners, but many in the hiking community want more durable support. Both the Merrell Moab 2 Vent Low and Moab 2 Mid Ventilator models make our list of the Best Hiking Shoes and Boots. The REI Co-op Half Dome 2 Plus is a tent that maximizes interior space and minimizes cost. Its generous dimensions, comfy interior space, and durable materials make it a great option for those who do a mix of car camping and short backcountry trips. The main downside with the Half Dome 2 Plus comes in the form of weight, but if that's not a big concern, this is an excellent choice. REI offers solid value in their Men's Igneo and Women's Joule sleeping bags. These three-season, down bags are great for those who want a budget friendly, yet high quality bag to accompany them on almost any trip. Both models come in two different temperature ratings, depending on your needs. Check out of Best Sleeping Bags list for more info. The Sawyer Squeeze is a lightweight, affordable, and convenient backcountry water filter. It's simple to use and compact enough to easily stash in your pack for almost any trip. It's among the lightest water treatment methods, which earns it a spot on our Best Backpacking Water Filters list. The REI Camp Roll Table is a great choice for car camping adventures. It packs down surprisingly small, can hold up to 100 lbs, and is pretty darn tough too. All REI camp furniture is on sale, so now's a great time to upgrade your car camping setup. If you hike as much as we do, you know how important it is to have quality socks. Smartwool socks are warm, well-made, durable, and have padding in all the right places to keep your feet happy. If you're looking for a budget friendly option, all REI Co-Op socks are on sale as well. All freeze dried meals from AlpineAire, Good-to-Go and Backpacker’s Pantry are on sale, so why not stock up for the season? Freeze dried backpacking meals are light, easy to cook, and trail tasty. Check out our favorite selections in our Best Freeze Dried Backpacking Meals list. Although this pillow is a bit heavy to pack on lightweight backpacking trips, the NEMO Fillo is one of the most comfortable camping pillows we’ve used. If this pillow isn't your jam, there's good news: all pillows are on sale! Perhaps one of the deepest discounts on this list, the REI Flash 60 and 65 Packs are 50% off while supplies last. The REI Flash 60 and 65 packs are comfortable, relatively lightweight, and have easy to access storage compartments. This is a great option for budget conscious backpackers in need of a new pack. Highly versatile and functional Buff Headwear can be used as a hat, scarf, headband, sun protection and bandana. Buffs come in a wide variety of colors and styles, they're super versatile, and many outdoor enthusiasts swear by them. Leatherman offers several models of their multi-use tools and select models are on sale. One of our favorites is the Leatherman Wave, which is a bit overkill for ultralight backpacking, but is great for hiking, camping, and use around the house. The REI Co-op Flash Carbon trekking poles are a great option for those wanting extra trail stability without breaking the bank. These poles are a lightweight, high-quality value option for three-season backpackers and hikers and they make our list of the Best Trekking Poles. The REI Co-op Passage 2 is not the lightest or roomiest tent on the market, but it is a great budget buy for those who car camp and backpack. It has a classic rectangular design with dual crossing poles, double doors, and large vestibules. It's a top pick on our Best Budget Tents list. Saucony Peregrine 7s have been our go-to backpacking shoes for the past year. They have excellent traction, comfortable padding, and a decently roomy toe box. Saucony recently released the Peregrine 8, but that's no reason not to grab a great deal on the older (and some argue better) model. Offered in men's and women's versions. The Black Hole Duffel by Patagonia is a burly travel bag that can carry a ton of gear and withstand a beating. They're super durable, spacious, and convenient for general travel, as well as stashing backpacking gear for international hiking trips. They're offered in a range of sizes and models. REI Trail Packs - offered in both men's and women's versions - are an affordable and compact daypack option. With a simple design and durable materials, the Trail Pack can easily fit all the gear you'll need for a day on the trail. They're offered in a range of sizes, but we like the 25L model most. We never hit the trail - whether day hiking or backpacking - without a lightweight first aid kit. Adventure Medical Kits makes a great product and we've been using them for years. They're compact, lightweight, and give us piece of mind in the backcountry. For multi-day trips, we usually carry the .7 model.